Please feel free to use some of these handy tools to aid you in your search for the perfect home. You may want to bookmark these for future use. Remember I am only a phone call away and will gladly answer any of your questions about the Santa Cruz real estate market. This extensive list of the local businesses in the Santa Cruz area will give you contact info for everything from Acupuncture to Solar Technology. This informative report will provide you with up-to-date information about the greater Santa Cruz area real estate market trends and conditions. This report will provide you with a summary of the Santa Cruz real estate market. Provided in newsletter format, you'll find all sorts of useful information about mortgages and credit information, as well as housing statistics. 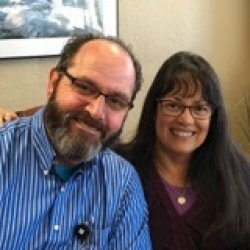 This is Lauren's newsletter to Friends and Clients published every other month with updated local Santa Cruz real estate news. Information for buyers and sellers regarding cost-effective methods for creating and maintaining environmentally-friendly homes, and the pursuit of properties that provide affordability, comfort and a healthier environment, all the while reducing carbon footprints. 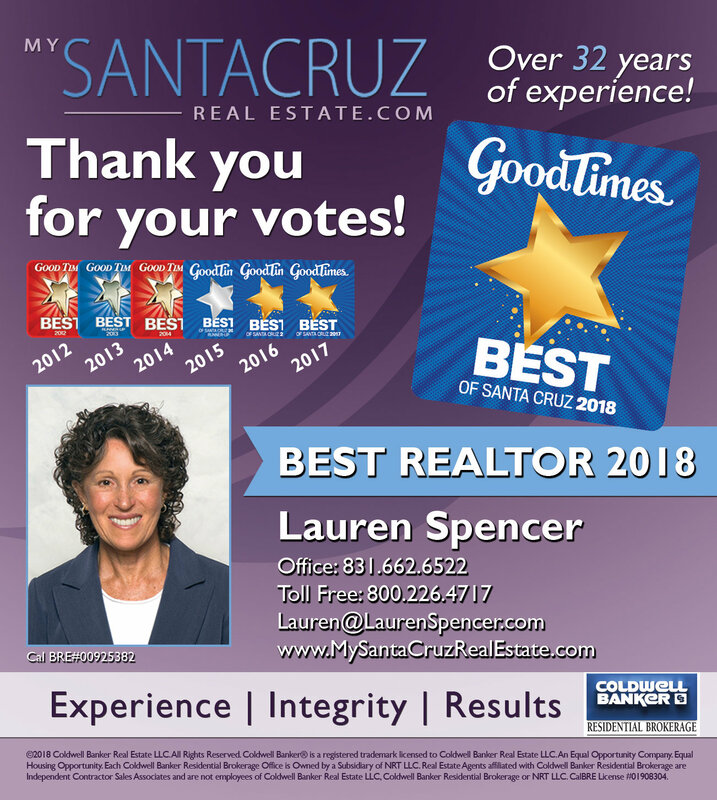 If you have any questions about real estate in the greater Santa Cruz area, contact Lauren Spencer, Coldwell Banker Realtor at 1-831-662-6522 or Toll Free: 1-800-226-4717.